A WOMAN has been left devastated after burglars broke into her home and stole thousands of pounds worth of high value, sentimental jewellery. The victim had gone out at 7pm last night (March 2) before returning at around 10.30pm to find her home, in Trimdon Station, had been ransacked. The thieves had smashed a window on the conservatory to gain entry to the property before raiding every room in the house, taking a number of high value and sentimental items of jewellery. A safety pin used on terry towelling nappies which had been encrusted with pearls and turned into a broach after the woman’s son died shortly before his 18th birthday. Ruby diamond shaped ring surrounded with pearls. Emerald solitaire surrounded by diamonds on 18ct yellow gold band. Three carat diamond solitaire on a 24ct yellow gold band. Three stone diamond ring on 18ct yellow gold band. 18ct yellow gold small pearl earrings. Yellow gold pendant from North Spain on a thin chain. Cropped pearl choker style necklace threaded with gold. White and yellow gold watch. Black and blue Casio sports watch. The thieves also stole a 12 piece silver cutlery set, rose gold HP Pavilion laptop model DV9000, a quantity of English pound notes and Euros, Spanish passport and a Spanish ID card. Detective Constable Rachael Austin Teasdale, from Peterlee CID, said: “This appears to be targeted and pre-planned break-in which has left the homeowner absolutely devastated. “The thieves have completely ransacked the house, leaving no room untouched. They have shown complete disregard for the damage they have left behind, both to the physical state of the house and the emotional state of the homeowner. “The items that were stolen are very distinctive so we are asking people to be on alert – if anybody sees any jewellery matching their description for sale, please get in touch with us. Call Durham Constabulary on 101, quoting incident number 480 of March 2. A MAN accused of stealing thousands of pounds worth of sentimental jewellery from a house in Trimdon Station has appeared at court. John Robinson, of Luke Avenue, Cassop, appeared before magistrates in Peterlee this morning charged with burglary. 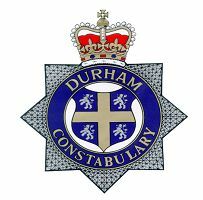 The 54-year-old did not enter a plea and was remanded into custody to appear at Durham Crown Court on April 20. The charge relates to a burglary which took place on the evening of March 2 in Trimdon Station in which a number of high value and sentimental items of jewellery were stolen from a house.